One of the worst things about tearing my ACL six months ago (aside from the pain) was that I couldn’t ride my mountain bike any more! I was finally getting decent at navigating some of the local trails and then I had to sit out the whole summer season because of the knee. But this weekend, I’m back in action. I did some short and simple trails two week ago and now I’m ready to kick it up a notch. 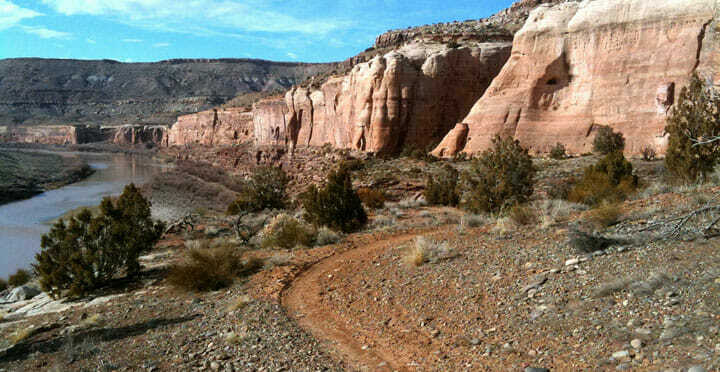 I’m going to be doing the trail pictured on the right this weekend. One of my best friends who happens to be a vegetarian is visiting me this week so let’s cook something veggie friendly in his honor. Have a great weekend everybody! If you need me, I’ll probably be driving!